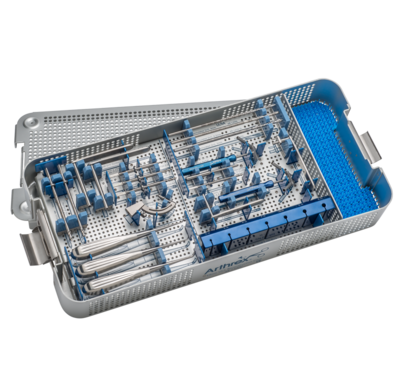 The UCL Instrument Set makes precise sockets and tunnels along with easy suture/graft passage and includes all the instrumentation needed to perform elbow UCL reconstructions. It will accommodate all techniques including the Modified Jobe technique, Docking technique, DANE TJ technique, as well as any technique using Tenodesis Screws or button fixation with sockets. This set allows the precise placement of bone tunnels and sockets in the ulna and humeral epicondyle using guided instruments, drills and/or reamers. 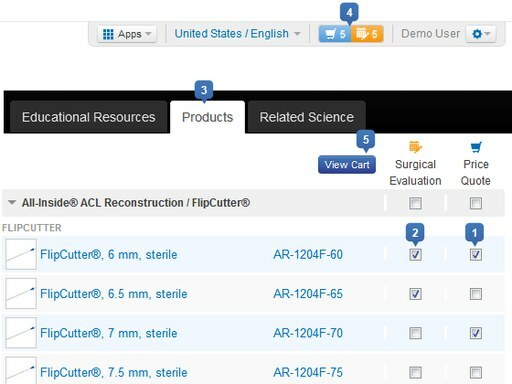 A recommended disposables kit provides novel instruments to easily pass sutures through the prepared bone tunnels and sockets, making graft passage a quick and easy part of the case.